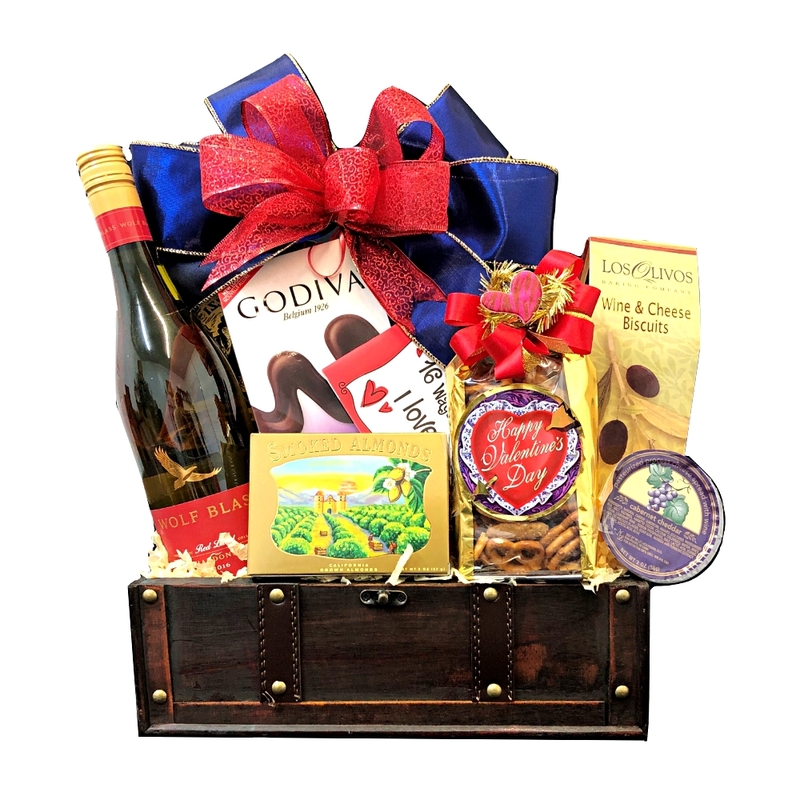 Express your love to someone special with this unique Valentine’s Day wine chest. 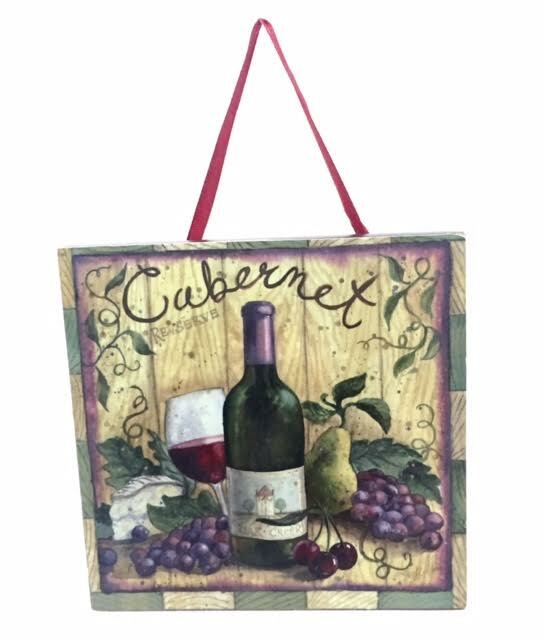 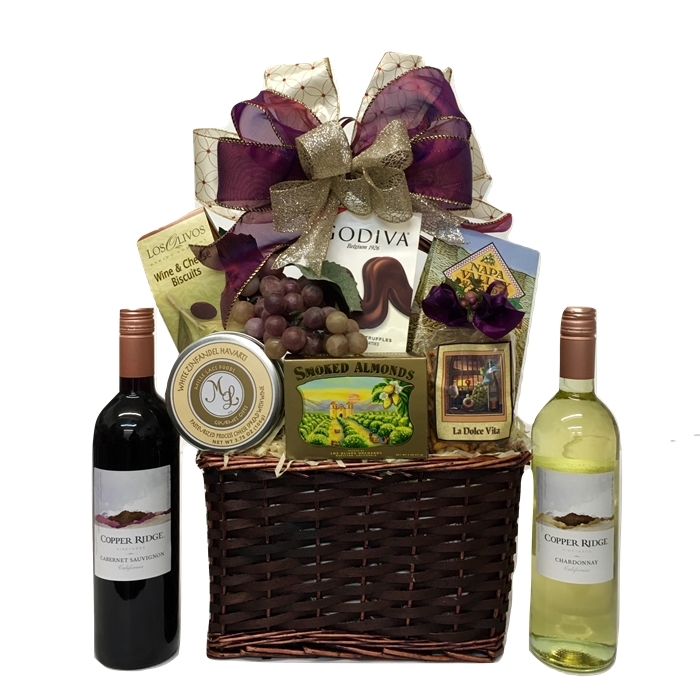 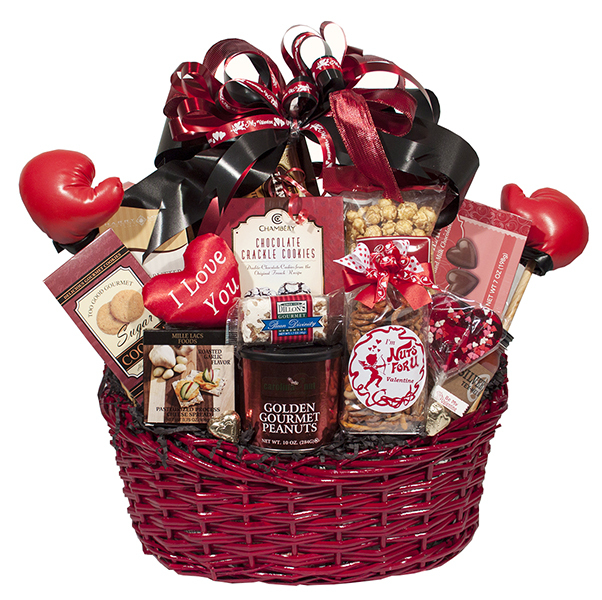 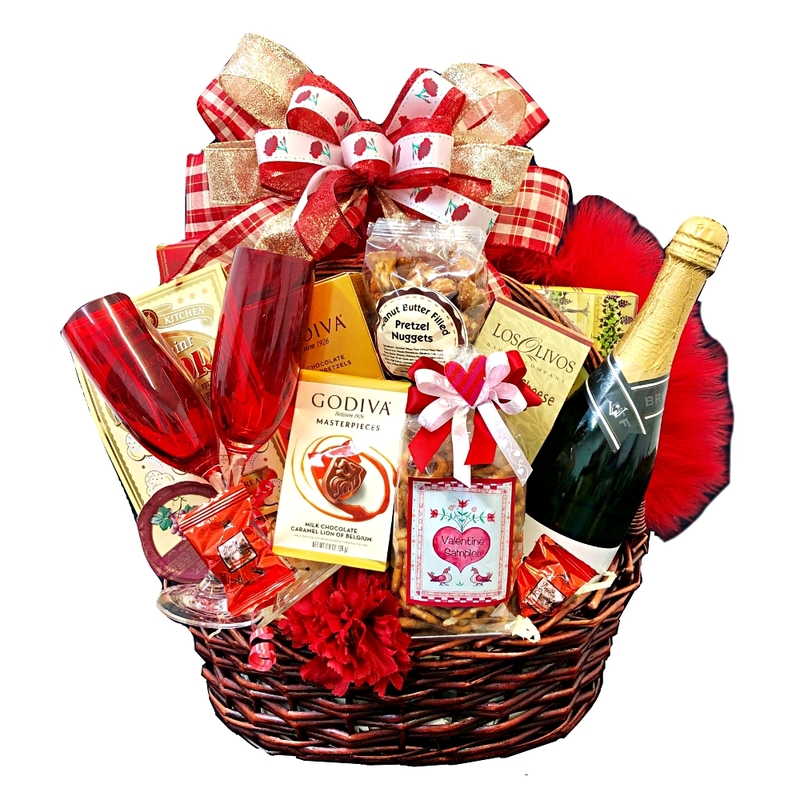 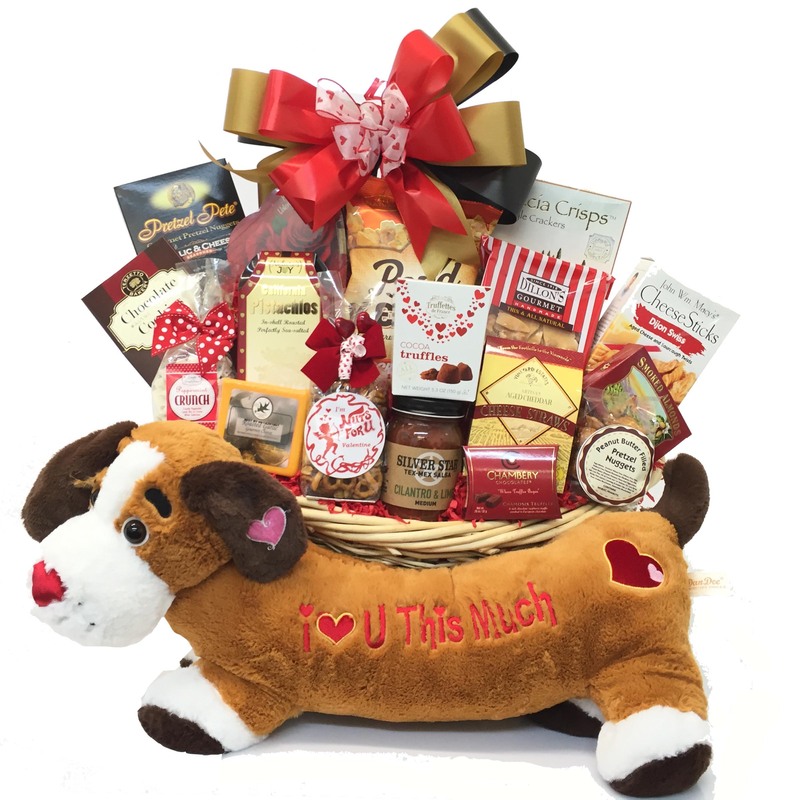 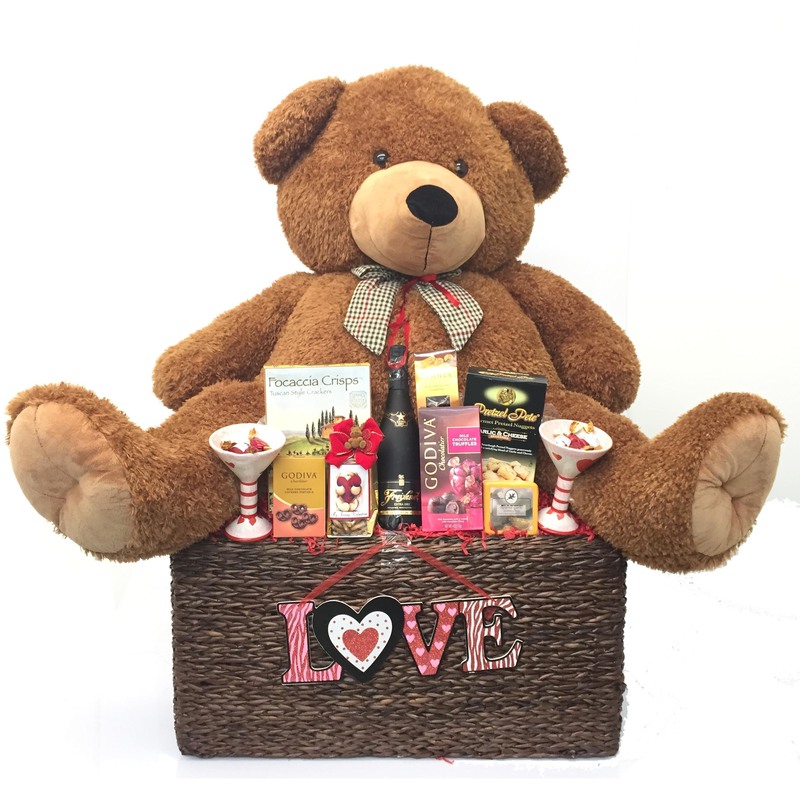 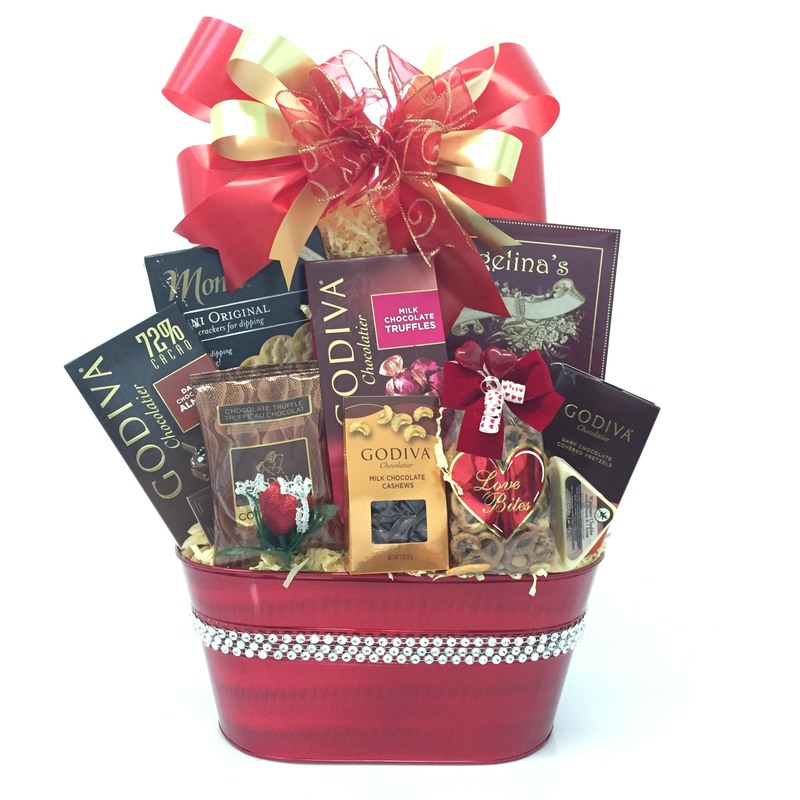 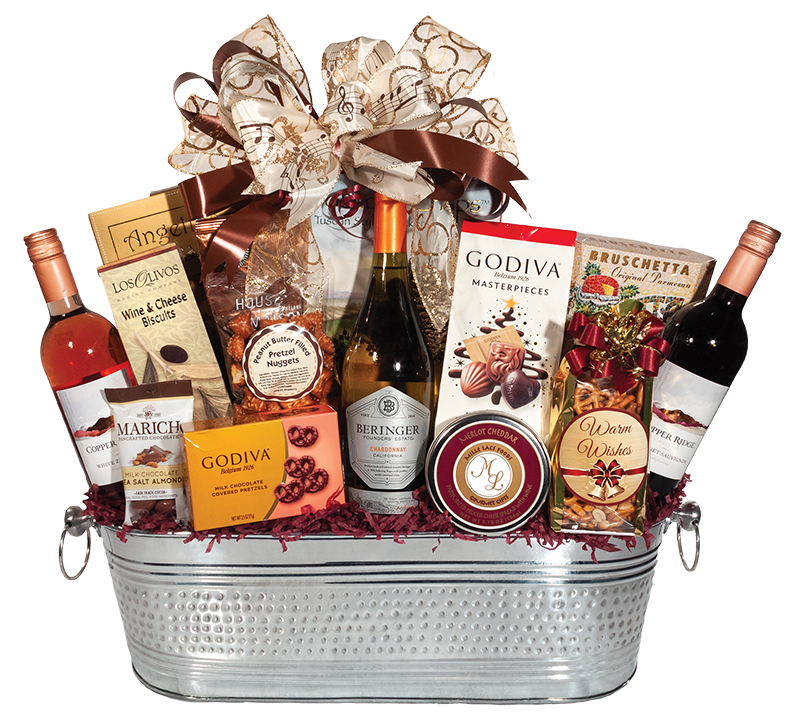 Filled with a bottle of wine, Godiva Truffles, Smoked Almond Nuts, Happy Valentine’s Day Gourmet Nut Snack Mix, Fontazzi Butter Toffee Pretzles, Wine and Cheese Biscuits, and Cheese Spread. 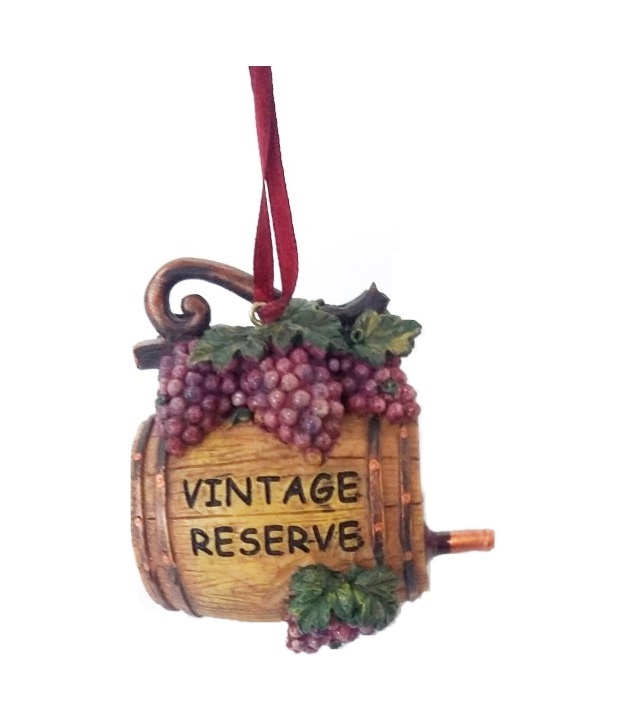 Kurt S. Adler Wine Barrel with Grapes Ornament.